Step 1: File and shape the enhancement with an Endurance 180/180 Grit File. Remove excess dust with a Nail Wipe saturated with Cleanse. Apply a liberal layer of Glaze ‘n Go to all ten nails and cure in any full hand UV lamp for 90 seconds. There is no tacky layer to remove. 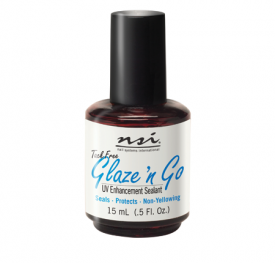 Step 2: Apply two coats of your favorite nail polish to all ten nails according to the manufacturer’s  directions. Allow it to dry for 1 minute. Step 3: Apply Airshield like a polish, coating the entire nail surface of all ten nails. Allow Airshield to dry for 3 minutes. Q: Can I use Airshield on a polished natural nail? A: No. 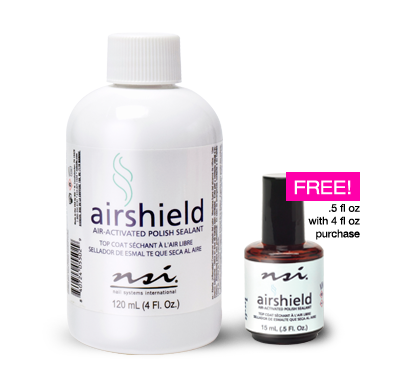 Although Airshield works extremely well on any type of polished enhancement (acrylic, gel, or wrap), it is not recommended for a natural nail polish top coat. Q: Can I use Airshield on a polished pink and white acrylic or gel enhancement? 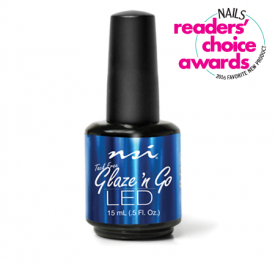 A: Airshield is not UV-stable and is not recommended for polished French nails. 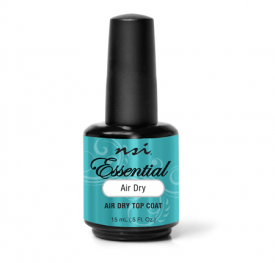 A: Airshield will completely dry polish over any enhancement in 3 minutes. Q: How can I remove Airshield? A: Airshield can be removed by using a Nail Wipe saturated with Acetone.